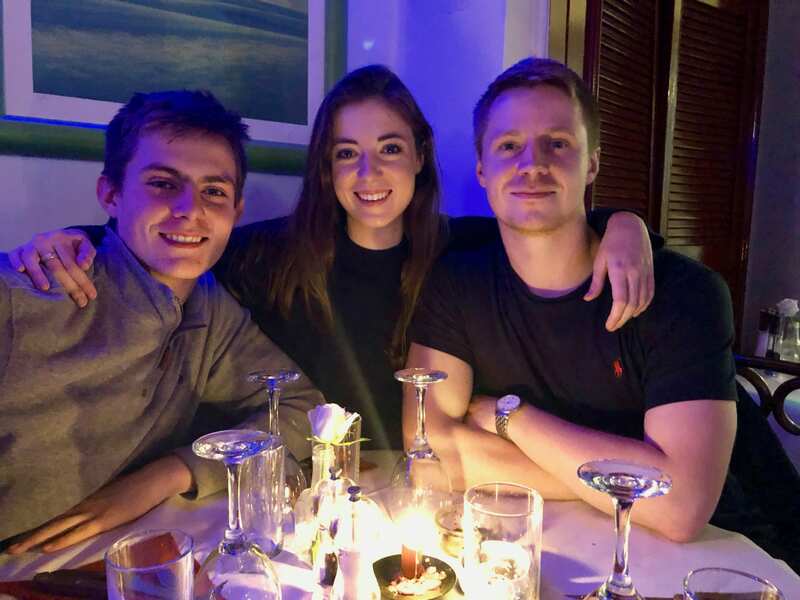 I was going to do a post about National Sibling’s Day, but I’m a bit late owing to life getting in the way, so I’m catching up with blog posts now and thought I’d redefine the title and call it “National Bloody Great Children’s Day” instead so that I can do a brief catch up on where we all are. My mother, usually after a wine infused meal, normally sits at the head of the table looking very pleased with herself and announcing that her greatest achievement in life has been her children and therefore, by default, her grandchildren too and I’ve always slightly rolled my eyes and thought how ridiculous not to have lots of other greater achievements than that. Because she was a stay at home mother, I didn’t think she had an awful lot of other strings to her bow to be proud of…but as I get older, I’m beginning to think she might be right. I suspect that even if she or I had been CEO of a multi-national company that ultimately the children would win gold in the proud moment stakes. My children have been through a lot of heartache recently – not only involving relationships, but also disappointments, unemployment and the demise of our much loved family cat and I have to say that they’ve got through an awful lot of it by supporting each other and it’s a beautiful thing to witness. Obviously as they were growing up, they didn’t much like each other. Having three children, with large gaps in between meant that they had no shared interests for years. It was like living with aliens who all spoke different languages and required different things and it massively did my head in. My firstborn would have happily swapped his sister for a shiny new Pokemon card if he’d had his way. My daughter would have seriously considered putting her younger brother up for adoption and my last born wished he was an only child for years. Now things are different. Now they can go to the pub together and take the piss out of their main thing in common – their mother. It is both satisfying and deeply offensive at the same time when they start falling about laughing regarding a shared joke at my expense. Just as I still do with my two brothers about my mother. But they also meet up without me now, because they enjoy each others company which is deeply satisfying to me. When my daughter had an issue last week, her older brother dropped everything to be with her. He did the same for his younger brother the week before that when things weren’t going well for him and he will always be available for me if I need him to help out in some way. Whether or not this is the legacy of living with a single parent for years I don’t know, what I do know is that we are certainly all a lot closer as a result of the way we lived during their formative years of kitchen dancing and chaos and consequently they’re ready to support each other where necessary. It’s feeling a little strange in my household at the moment. After much discussion, my daughter decided to head off to Australia for six weeks. So there is a vast hole in the house where she’s been since moving back home after leaving university and looking for work. My eldest moved out a while ago so now it’s back to just me and my youngest, tallest child and just one cat because the other one was recently diagnosed with terminal cancer and isn’t going to survive for much longer. So this post is just a shout out to my kids. Before they flee the nest. I’m very proud of you all and PLEASE DON’T LEAVE ME ON MY OWN WHEN YOU NEXT GO TO THE PUB TOGETHER. I WANT TO COME TOO! (I”LL PAY!! That always works)….